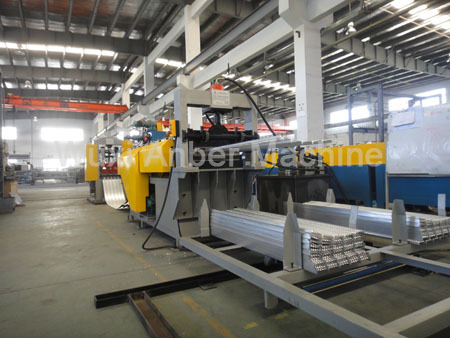 The Hi-rib lath machine is used to produce the hi-rib lath which is applied to plaster and reinforcing the wall, the hi-rib lath production line Working process is De-coil → punching → expanding and shearing → Rib lath feed out. 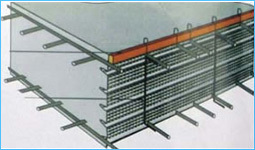 Hi-rib lath (high ribbed lath/High Ribbed Formwork) is manufactured from hot-dipped galvanized steel sheets. 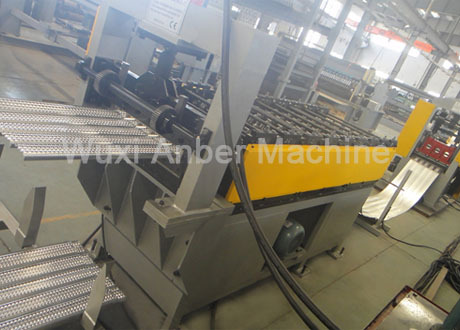 has been applied to the concrete structure of porjects all over the world. As early as 1969, it has tested and verified by British Cement Association of and many architecture-structure experts in ESPM that it is superior over traditional template including wooden template, steel temlate etc. Because it has better stress stress strength and free shape. 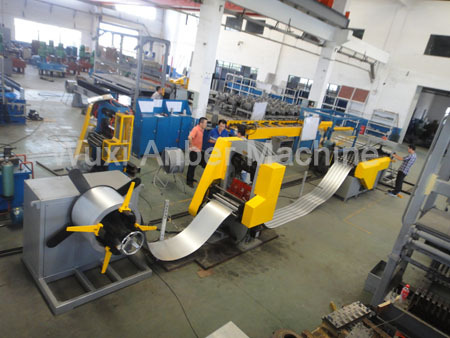 It is mostly used as concrete permanent dismantle free template for civil engineering such as tunnel, bridge, raft-style foundation, sewer system, subways, retaining wall, nuclear power station, docks, storang tanks, skysrapers, ocean engineering and irregular or curved shapes. 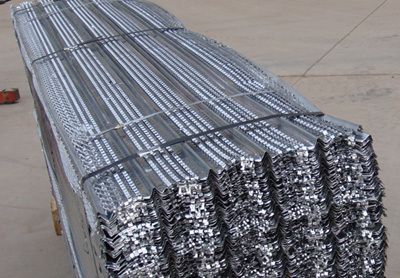 Because its meshes and U patterns, it has better anti-stress capability and forming flexibility than normal metal lath. 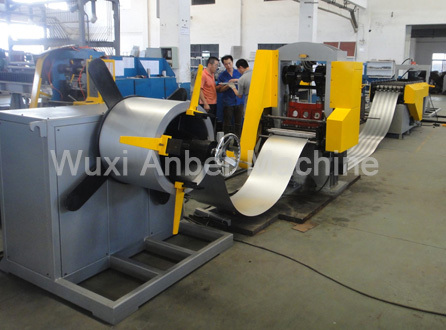 This product has excellent engineering quality, construction security and widely used in tunnels bridges, valve basement systems, sewage systems, subways, retaining walls, nuclear power plants, shipyards, water pools and marine engineering works and high rise building projects and non-regular or bending pattern etc. 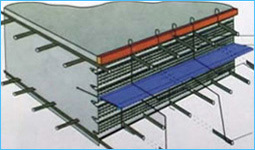 as concrete permanent assembly-free formwork Installation: Hi-rib lath is ideal for refurbishing damaged or aged masonry walls, when a key for rendering is not certain due to disintegration or softening of the wall face. Lath should be fixed with apexes of ribs against the wall, edge ribs of sheets nesting into each other should be wire-tied every 15cm and ends of sheets should be lapped not less than 2.5cm and nesting ribs securely tied together. Stainless steel fixings should be used at sufficient intervals to hold the lath firmly in position.